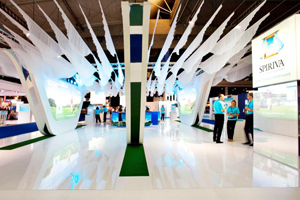 Pfizer and Boehringer Ingelheim Pharmaceuticals have appointed Jack Morton Worldwide to design and create a brand experience for the European Respiratory Society Congress this week. Jack Morton Worldwide has created the stand for the pharmaceutical companies at the event taking place at the Fira de Barcelona Congress Centre this week. It is the fourth time the agency has worked with the pharma firms at the ERS Congress, which attracts attendees from more than 120 different countries. Jack Morton Worldwide managing director Julian Pullan said: "We are proud to be working with Boehringer Ingelheim and Pfizer for the fourth consecutive year. Each year we have created a totally new and original brand experience which powerfully evokes the product’s benefits and qualities."